Apple has finally filled one of its most important positions: head of public relations. 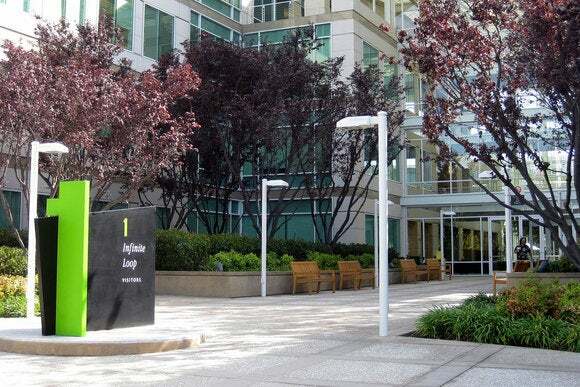 The venerable Katie Cotton retired in May after 18 years of working closely with Steve Jobs, and after months of anticipation, Re/code is reporting that Apple PR exec Steve Dowling is taking over the chief position—at least for now. Former White House Press Secretary Jay Carney was rumored to be the front-runner to lead Apple’s front line of defense, but Carney joined CNN last month, dashing those dreams. While Apple hasn’t made an official announcement, the company confirmed Dowling’s appointment as interim VP of worldwide corporate communications to Re/code. Interim implies that the role might not be permanent, so there’s a chance some outsider could spring up from left field to take the slot—but that’s not likely. Some Apple watchers have noted that CEO Tim Cook is looking to move Apple in a friendlier direction, one where the company actively engages reporters and customers. This shift is evident in cases like the celebrity iCloud hack, where Cook personally addressed the issue. Why this matters: Apple’s PR chief controls information and access to the company’s top executives, and an open communications policy means a less restricted stream of information can flow through the press and to the public. That doesn’t mean Apple customers will see what happens at the company behind-the-scenes, but it could mean Apple execs will comment more freely on issues you care about.